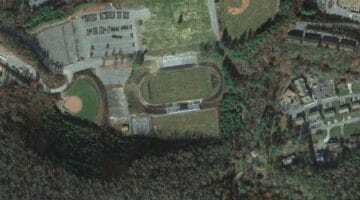 Appalachian State University is gathering feedback regarding the university’s recently acquired 74-acre property on the site of the former Watauga High School. A listening session is scheduled for Wednesday January 31, 2018 from 9 – 10:30 a.m. at 417 Plemmons Student Union (Beacon Heights). For those unable to attend, an online feedback form has been established. This feedback to university leadership will help inform decisions regarding future development opportunities for this property. Proposed options for development of the new acquisition have included student residence halls, a day care facility and student recreation fields. The property’s current parking configuration accommodates 500 spaces, which could offer a short-term alleviation for limited parking available on the university’s main campus. The old high school property is located at 400 High School Drive, just off Highway 105 South in Boone. The Appalachian newspaper recently reported the Office of Student Development held a meeting on Tuesday, Jan. 16, to discuss the property. That report says that Paul Forte, vice chancellor for business affairs, said the university is focused on developing safe travel routes to the location, including safer bike lanes down Highway 105 and the potential development of crosswalks or skywalks. The location will be used for parking in the fall of 2018, the reports says.